Over the last few years we've moved from global world views to localized views of our environment. These trend has been felt in particular in the design world, from trends that everyone followed to trends that bring back and respect the vernacular. Vernacular refers to domestic, indigenous or native, and in design is that one that is made by local or indigenous people who may have or have not had any formal training. Usually this type of design responds to the needs of the environment where the design originates from. In places where rain is abundant, buildings were made with water proof materials and slanted in order to drain it more efficiently. In places where the climate is dry and temperatures high, buildings have thick walls for insulation from the outside heat and open spaces for air circulation. Vernacular design is influenced not only by the climate but also by materials readily available like wool clothing in mountainous places, coconut shells for crafts in coastal locations, and natural stone used for sculptures in Europe. I always like when a building at least acknowledges the local vernacular. It makes it feel like it belongs. interesting! i didn't know what that phrase meant really. way to be informative! 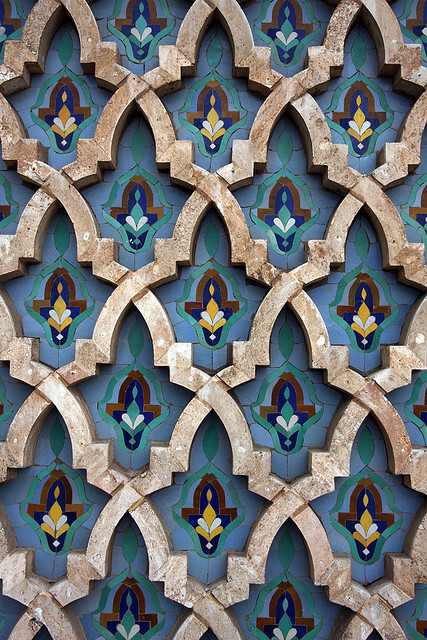 Such gorgeous details; it reminds me of Granada, where everything seemed so thoughtfully built! the last picture is a dream!! I always dreamt of a house like this! 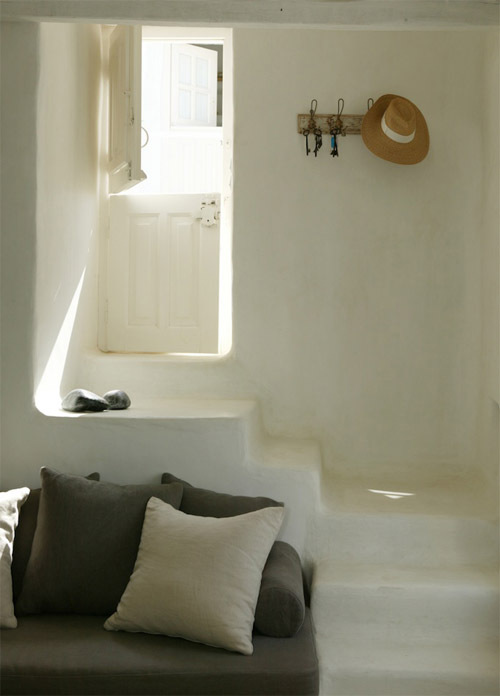 white everywhere and simplicity! Interesting! Beautiful design with a practical function. That's so interesting! I LOVE the colours in the first picture. It looks like out of a fairy tale. I'd like to stuff all of those practical points of design into one room in my tiny apartment but know it's not possible. Still, without the internet they wouldn't be so easily accessible so I'll just let the screen be my window to the world. I love the round edges in the last photo. So beautiful! Kisses, darling.